Now, just in time for the holidays, here's a classic Santa that shows you Christmas as envisioned by the Painter of Light™. 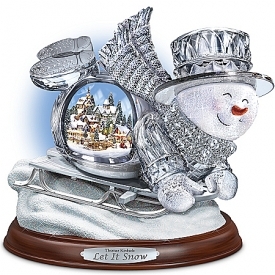 The Light of Christmas is a first-of-a-kind illuminated Santa figurine featuring his artwork - exclusively from The Bradford Exchange! 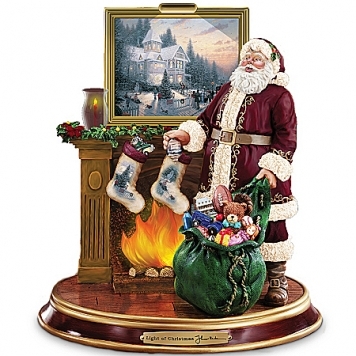 The picture over the fireplace, the stockings, even the ornaments are decorated with Thomas Kinkade art.And, it lights up! At the flick of a switch, cheerful light glows from the fireplace and above the Thomas Kinkade artwork. 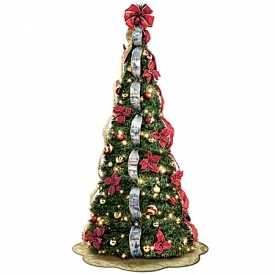 Plus, the rich golden colors, nameplate and handsome base add ideal finishing touches. 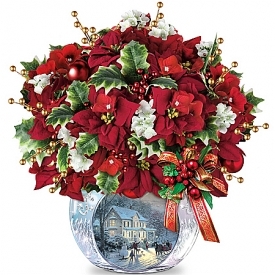 Share Thomas Kinkade's vision of Christmas, but hurry! His work is in intense demand and quantities are limited, so order now.